The primaries are over. Some politicians are happy, many more are grieving and recovering from the shock of losing. That is their world, they are rational political beings: the most stupid politician in the world knows why they are in the process, what about the citizens though, are we so rational; do we know what we want? As citizens and observers, we now know practically the names of all the candidates that will be contesting in the forthcoming elections. 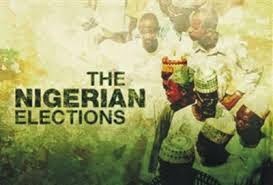 A point needs to be made immediately about these candidates: unlike what we have seen for too long in Nigeria, those running for elections this time round are doing so because they explicitly want to do so. There is no tale of candidates saying, “I am here against my wishes” or “My people prevailed on me to run”, in order to gain their tickets, these candidates presented themselves for tough primary elections; they organised and implemented strategies to win and in most cases they even spent money and time to convince delegates they can win elections for their parties. They have done the first part of their task; they now need to convince observers and the electorate that they can rule the country. Voters too have to do their own part and to do so effectively the first step is to fully understand their roles as citizens and electors. In theory, this should be taken for granted but in practice, many voters do not see themselves as important and even decisive in elections. Apathy and cynicism have made some citizens forget what their task should be in an electoral process; ignorance and poverty are making many others misconceive what their position is during elections. Let us start by inviting everybody that can vote to remember that technically, any voter can decide who will be the next president, governors, senators etc. As a citizen and a voter, you need to see yourself as an employer and you need to view politicians vying for positions as employees you are going to employ to manage your assets on your behalf. Given that in Nigeria, most politicians are richer and more powerful than most citizens, it is a tough change that requires voters to develop the mindset of rational citizens. In deciding how to vote, a rational citizen will see himself or herself as the person to please, before deciding who to vote for; a rational citizen, like a diner in a restaurant, will take time to see what the candidates are offering. They will analyse the programmes and promises each candidate is making and match these with their own needs and priorities. The candidate that will get the vote of a rational citizen will be the candidate that shows a very good understanding of issues to be solved and also demonstrates a very good capacity and will to solve such problems. Candidates are rational, they know what they want and in the coming weeks, they will do all they can to convince all that they, not their opponents, should get the job. It is not going to be easy for us, the people, to rationally decide, since candidates will use every means to succeed and this will include confusing and distracting us. To help us remain focused, we need to do our best to know all we can about the candidates putting themselves forward and then judge them in the coming weeks against some variable elements. The past of a candidate matters. Rationally we should be looking for experience when employing a person for an important role, in government things change every day so what we need is a candidate that will show us that he has done things in the past that will enable him deal with the complex task of managing the country. In the next weeks, the past might as well come to hunt a candidate in that case, we need to judge each candidate on what comes out of their past and how they dealt with it. For executive offices, the first public choice a candidate running for office makes is that of a running mate. We can and should judge a candidate on the kind of running mate he has opted for. The theory is that a Vice-president is a second away from being president and our recent experience in Nigeria confirms it, so in the next coming weeks we can see what kind of presidency or governorship we are likely to get by evaluating the status and action of each running mate. The political party of a candidate is important because this will tell you his or her view of the world. A candidate that comes to you on the platform of people known to be corrupt is not good to you if you think integrity matters. Over the weeks, you can also rate a candidate on what is going on in his party, as those are the things likely to be happening if the candidate gets to power. In democracy, the way we communicate matters a lot and a leader will have to influence a lot of people. As a rational citizen, we need to watch out for the ability of each candidate to convince us of his ideas and capacities. In the next few weeks, candidates will be at their best and if for any reason in the world they cannot represent themselves and convince us then they are not likely to represent us well or convince other leaders in the world on our behalf. No leader can do everything alone so team matters. To know the kind of people that a president or a governor will delegate the affairs of our country to once elected, have a look at the people around him, watch for their actions and utterances in the next coming weeks. It will tell you how much value the candidate places on competence and how much on nepotism or ethinicism.